EDIT: I moved the first two posts from the general developments thread. North Pine is seeing a lot more activity these days, so I think it warrants its own thread to help find more specific information on it! 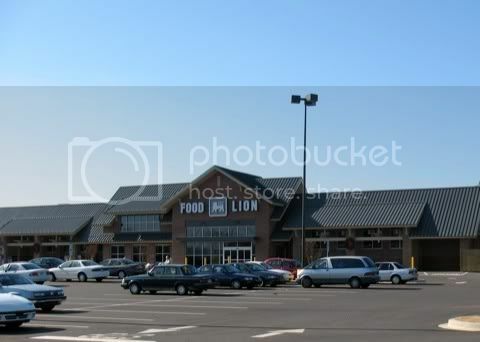 The new Food Lion on Garner Rd. is NICE. Dive by there some time and check it out. Its a 1,000,000% improvment over that old abandoned K-Mart. 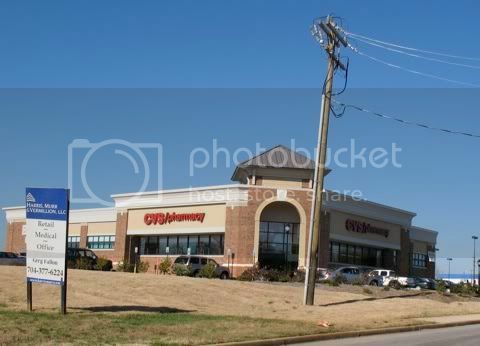 With that CVS nextdoor, and the new Starbucks, that area is really showing visible signs of improvement. I now have hope that the north side of town is not doomed to architectural oblivion. 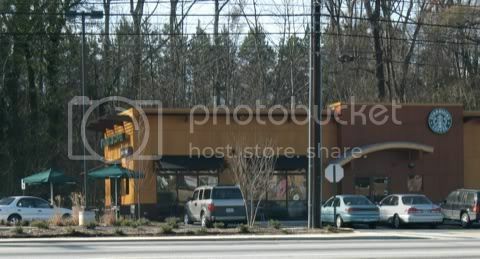 I am interested to see what the new shops next to Starbucks will look like. 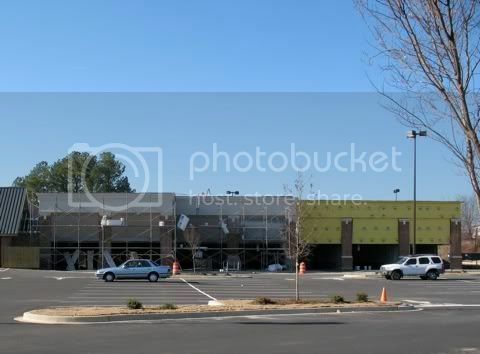 Also, there are some shops going up next to Food Lion. Any ideas what they will be? 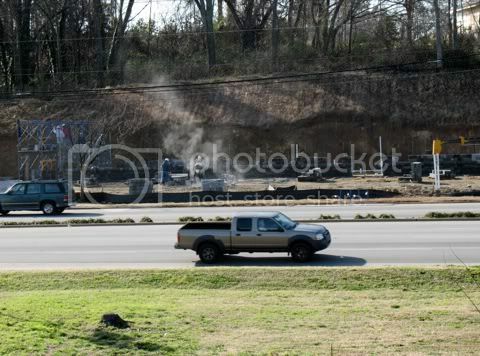 Ok, I finally made it out with my camera, and I snapped a few pics of the new stuff on Garner Rd. They are calling it Pine Street Crossing according to the large sign on Pine St. Here are some stores that are going up right next to Food Lion. I have no idea what is going to go there, so if anyone has an idea, please share it! I think that both of these projects look very nice. The Food Lion is well-lit at night. Like I said before, hope is not lost of this part of town! The small strip shop next to Starbucks will house two national chains: Jimmy John's Gourmet Sandwiches, and Bruegger's Bagels. I've never heard of Bruegger's bagels, but ours will be the third to open in SC with two in Charleston. Columbia and Greenville will be getting them too. They say they are trying to build a presence in the Southeast. Jimmy John's has 4 locations in SC. This is the first one in Spartanburg. I agree that the rennovation of Pinewood will make a huge difference to this area. Does anyone know of any specific plans or interest in doing so? I'm old enough to remember what Pinewood used to be and would like to live to see the hilltop be a possitive centerpiece again. Really all they need to do is break up the sea of asphalt and it will do wonders to that place. Its good to see this for Spartanburg. Here's a picture of the completed strip center. Apparantly the Starbuck's, Food Lion, CVS, Bruegger's Bagels/Jimmy John's redevelopment is ALL a part of "Pine Street Crossing." I didn't realize that it was all part of one larger project, but it makes sense. The only reason I mention this is because I noticed on the master plan that in their "current projects" map, they have the area highlighted- and more importantly, the project has a second phase. 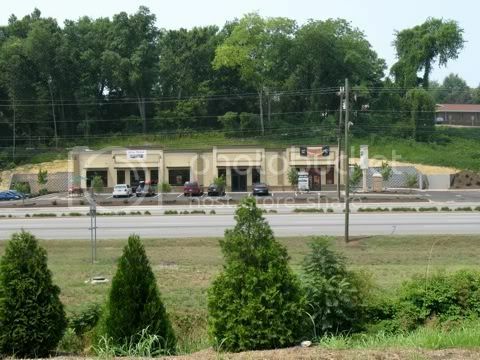 I noticed this morning that a Waffle House is going up between the McDonalds and Long John Silvers on Garner Road. Waffle houses are taking over. Does anyone know how much space (acreage wise) is left down where Beaumont Mill used to be and where the renovated portion that houses SOCON headquarters currently is? Can that be developed or is it just going to stay greenspace?